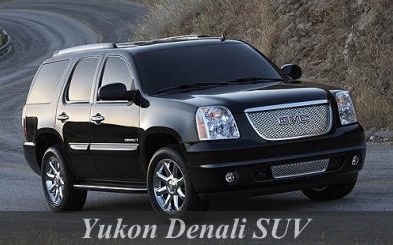 The esteemed Denali nameplate started off as GMC Yukon’s best version for its 1999 model. Also, it was GM’s 1st endeavor to shoot for great sales from this 1998 Lincoln Navigator model. General Motors, when introduced this model decided to honor Cadillac with its own luxury version of SUV. This was done to share Denali’s exterior with1999 Cadillac Escalade. In this way, only the facing fascia and the lower body panels differed from the classic Yukon. The “Denali” name comes from the local name for Mt McKinley situated in Alaska. It also refers to the name of surrounding national park and a state park! Exotica Limo’s range of contemporary Yukon Denali SUVs consists of well-engineered models and offers comfortable and safe rides. Whether it’s a Prom night, Bachelor/Bachelorette party, casino rides or any other occasion; utmost comfort, fun and style are ensured through our royal Lincoln Town Car ride. 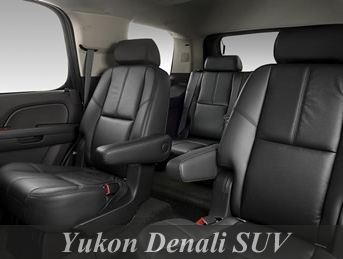 Further have a look at the luxurious features of Yukon trim! Royal Trade Mark Grille of Denali! The interiors are made with leather along with steering wheel covered with wood. The Denali logo is also covered with royal wood. All such amazing interiors with plush materials give an amazing royal feeling!